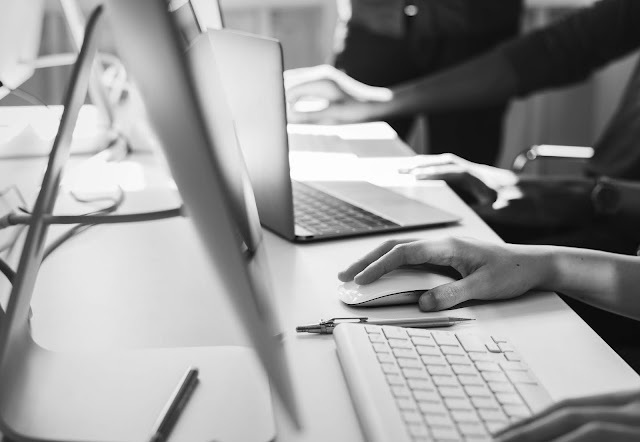 A few months back, I saw two posts, one by Ryan Sleeper and one by Matt Chambers, which celebrated their Tableau Public pages reaching one million views. I’ve been using Tableau for a little over a year and, while I’m nowhere near one million views, I like to believe I’ve created some nice vizzes. 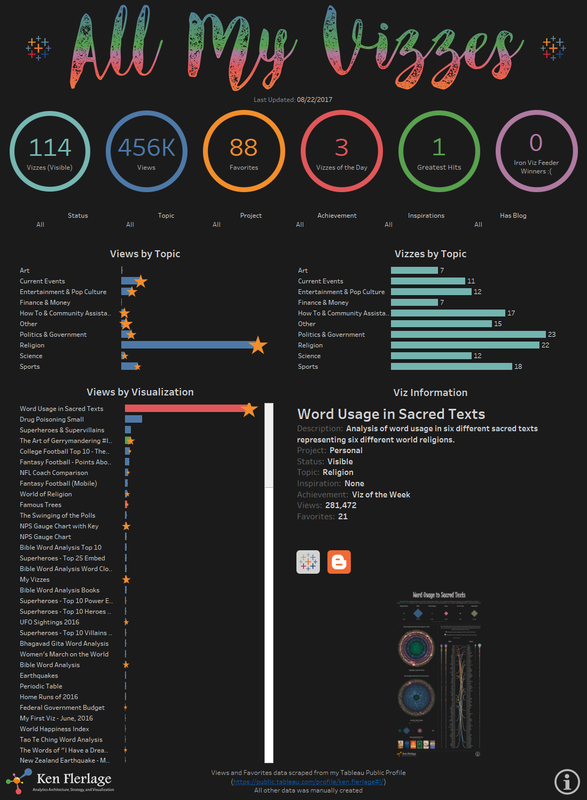 So, I decided to scrape my own Tableau Public page and put together a similar visualization. In creating this, I thought it would be cool to include some high level metrics showing not only number of views, but number of favorites, number of Vizzes of the Day, etc. I also wanted to give some additional detail about each visualization, so I included a description, topic, achievement, thumbnail, and the name of the person, if any, who lent some inspiration to it. So, here it is. Click on the image to interact with it further. Note: You may have seen this already since it won Viz of the Day shortly after I saved it to Tableau Public. If so, take another look. If not, it’s new to you! 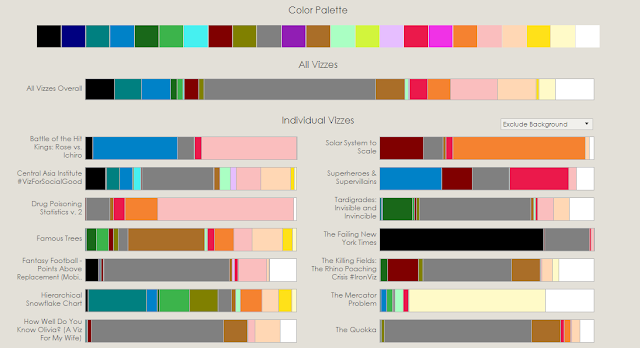 After creating the original visualization, I had an idea for a second viz which would break down the color usage of each. I don’t think this will have a lot of appeal, quite honestly, but I had been wanting to do a detailed color analysis like this for some time so I figured my visualizations would be a fun topic (at least for me). I originally planned to analyze all of them, but eventually settled on choosing 30 of my favorites. 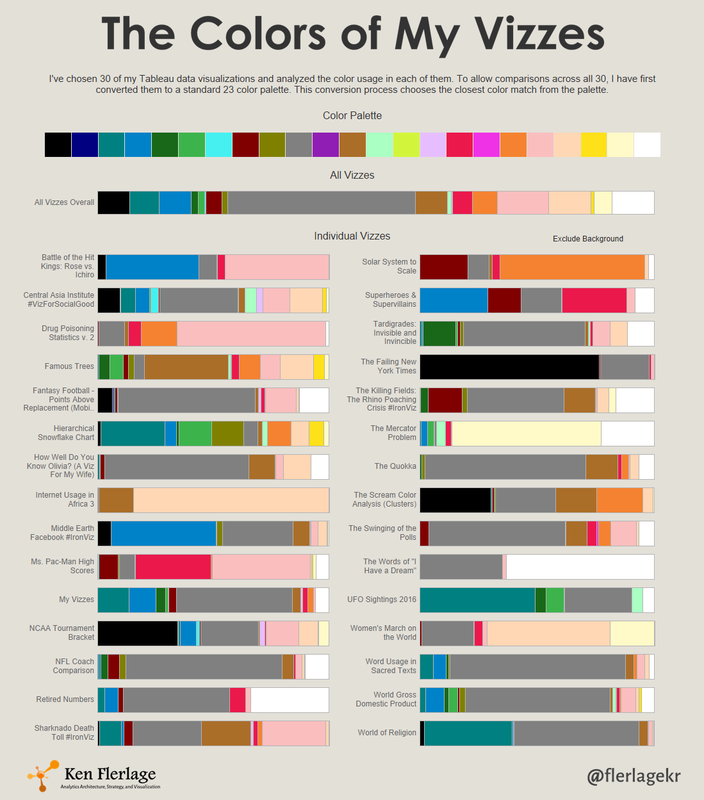 Analyzing color in a specific image is something I’ve done before (see Recreating “The Scream” in Tableau), but I wanted to be able to compare color usage across all 30 visualizations at the same time. In order to do this, I needed to choose a single, discrete color palette then convert all the images to that palette. I borrowed a color palette, consisting of 22 representative colors, created by Sasha Trubetskoy, then added 1 additional color (dark green). I then created this color palette in GIMP and converted each image to it. This conversion process reduces the colors in the image to 1 of the 23 colors in the palette, choosing the closest match. From here, I used the Image Color Summarizer, as described in the “Scream” post noted above, to extract the color usage for each image. Here’s the result. Again, click on the image to go to the full visualization.